The simple answer, Alzheimer's does not kill a person directly. Some people might think or believe that Alzheimer's causes brain death. In other words, it causes the complete brain to stop functioning. With Alzheimer's the entire brain does not stop functioning all of a sudden (or it is very rare). What happens as Alzheimer's progresses into the later stages is that certain bodily functions become more difficult. 5. and, patients often lose the ability to communicate which complicates all the issues above health issues.These are the most common complications that come with Alzheimer's disease. 1. When a person can no longer swallow easily they might inadvertently inhale their food, and this can result in aspiration pneumonia. Pneumonia is a breathing condition in which there is swelling or an infection of the lungs or large airways. Aspiration pneumonia occurs when food, saliva, liquids, or vomit is breathed into the lungs or airways leading to the lungs. One of the most frequent complications and causes of death from Alzheimer's disease is aspiration pneumonia. As far as I can tell for the majority of Alzheimer's patients the cause of death is listed as pneumonia. However, this is changing very fast and Alzheimer's rather than pneumonia is being recognized on death certificates. Article - What are the 7 Stages of Alzheimer's? 2. When a person is no longer able to walk they often become bedridden. This can result in bedsores. Bedsores can develop quickly and are often difficult to treat. Bedsores can develop into a sepsis infection. Sepsis occurs when bacteria enter the bloodstream through broken skin and spread throughout the body. It's a rapidly progressing, life-threatening condition that can cause organ failure. So bedsores are another complication of Alzheimer's that can lead to death by infection. 3. Most Alzheimer's patients are unable to communicate about health problems. For example, it is not unusual for Alzheimer's patients to suffer from multiple urinary tract infections (also known as bladder infections). Unlike you and me, they can't tell us they have a UTI. The ordinary symptoms that we, the caregivers, expect are not always apparent in the elderly and persons living with Alzheimer's. As a result, sometimes the symptoms while going undetected escalate into sepsis infection. This is actually the first symptom that is noticed or detected. 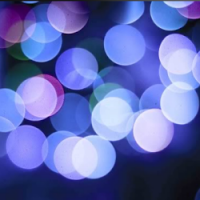 Undiagnosed urinary tract infections resulting in a sepsis infection are a known complication of Alzheimer's disease and are a leading cause of death in Alzheimer's patients. There are additional known complication. like blood clots, etc. If this is correct than Alzheimer's would be the third leading cause of death. The bottom line here is that it is the complications caused by Alzheimer's disease that actually end up taking a persons life. 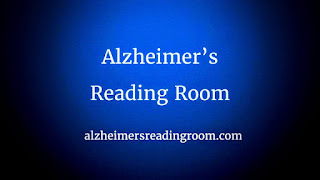 Join 40,570 readers who already subscribe to the Alzheimer's Reading Room. This is a free service. Be first to get notified about our new articles. We help caregivers live a better life! "Death by Complications from Alzheimer's, What does this mean?"